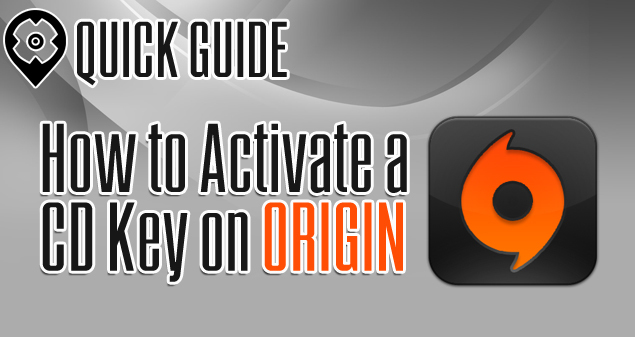 Got an Origin CD key but not sure how to activate it? Let this Quick Guide help you, and you’ll be playing your game in no time! 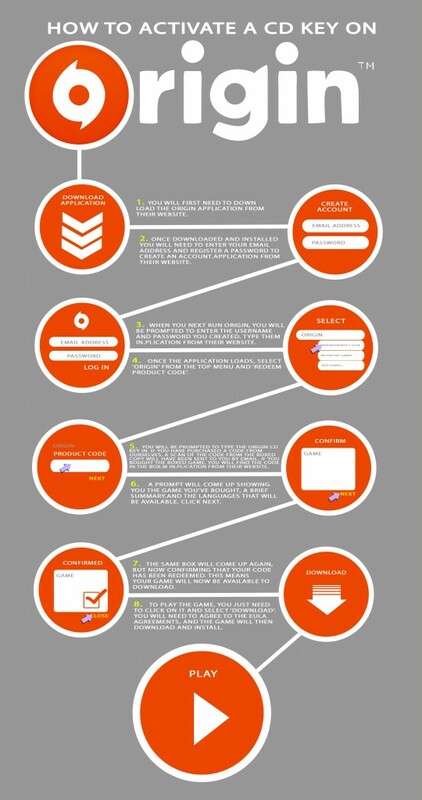 First you need to download the Origin application. Once you have downloaded and installed Origin, you will need to enter your email address and register a password to create an account (provided you don’t have one yet). Run Origin and you will be prompted to enter the username and password you created. Once the application loads, select ‘Origin’ from the top menu and ‘Redeem Product Code’. You will be prompted to type the Origin CD key in. If you have purchased a code from one of the stores listed with us, your CD key will either be sent to you through your email, or on your online account in the store’s website. Type the code into the dialog box exactly as it appears on your email. A prompt will come up showing you the game you’ve bought as well as a brief summary and the languages that will be available. Hit on ‘Next’ to move on to the next step. The same box will come up again, but now confirming that your code has been redeemed. This means your game will now be available to download. You will then see the game you have just activated in the ‘My Games’ tab. To play the game, you just need to click on its box art on your My Games library and select ‘Download’. You will need to agree to the EULA agreements, and the game will then be downloaded and installed. That’s it! Have fun with your game!